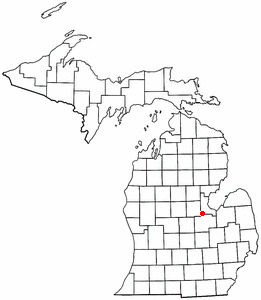 Freeland is also known as: Saginaw County / Freeland CDP. Zip codes in the city: 48623. Freeland is an unincorporated community in Tittabawassee Township, Saginaw County of the U.S. state of Michigan. It is also a census-designated place (CDP) for statistical purposes and without any legal status as an incorporated municipality. As of the 2000 census, the CDP population was 5,147. The CDP covers an area in the central portion of Tittabawassee Township. The Freeland post office, ZIP code 48623, serves nearly the entire township, as well as portions of Midland and Williams townships to the north, Frankenlust and Kochville townships to the east, Thomas and Richland townships to the south, and Ingersoll Township to the west.It is the location of MBS International Airport, which serves three major nearby cities: Saginaw, Bay City and Midland.It is also the location of the Saginaw County Correctional Facility, which is a level I, II and IV maximum security prison. It was written on October 2nd, 2018 that Oma Grace Ganzhorn perished in Green Valley, Arizona. Ganzhorn was 102 years old and was born in Freeland, MI. Send flowers to share your condolences and honor Oma Grace's life. It was noted by Topeka Capital-Journal on September 28th, 2016 that Eugene Edward Rev Schmidt passed away in Topeka, Kansas. Schmidt was 87 years old and was born in Freeland, MI. Send flowers to express your sympathy and honor Eugene Edward Rev's life. It was written by Flint Journal on November 26th, 2012 that Hugh Sulfridge passed on in Freeland, Michigan. Sulfridge was 97 years old and was born in Appalachia, VA. Send flowers to express your sorrow and honor Hugh's life. It was written by Saginaw News on October 14th, 2007 that Melissa Ann Johnson perished in Freeland, Michigan. Johnson was 20 years old and was born in Long Beach, CA. Send flowers to express your sorrow and honor Melissa Ann's life. It was noted by Saginaw News on October 2nd, 2007 that Violet Marsden (Coates) died in Freeland, Michigan. Send flowers to express your sympathy and honor Violet's life. It was noted by Saginaw News on October 1st, 2007 that Barbara Lucille Johnson passed away in Freeland, Michigan. Send flowers to express your sorrow and honor Barbara Lucille's life. It was reported by Saginaw News on June 29th, 2006 that Carolyn E Fraser (Gregory) passed away in Freeland, Michigan. Ms. Fraser was 88 years old. Send flowers to express your sympathy and honor Carolyn E's life. It was noted by Saginaw News on June 21st, 2006 that James R "Jim" Sieggreen passed away in Freeland, Michigan. Sieggreen was 60 years old. Send flowers to share your condolences and honor James R "Jim"'s life. This outpost was very nearly at the geographical center of Tittawabasse Township. By another account (Moore), the Freeland family name was prominent in business and politics of the area. In that treaty, within the ceded territory, several tracts were reserved for specific groups of Chippewa. Another settlement was placed just a little to the north. Freeland is an unincorporated community in Tittabawassee Township, Michigan Township, Saginaw County, Michigan County of the US state of Michigan. Listing all funeral homes in Freeland, Michigan so you can easily send flowers to any location (same day delivery) or find any funeral service. Funerals in Freeland, MI on Yahoo! Local Get Ratings & Reviews on Funerals with Photos, Maps, Driving Directions and more. Cunningham-Taylor Funeral Homes provides complete funeral services to the local community.